The Bosch BCH62560GB is one of the easiest vacuum cleaners to use on the market. Using bagless and cordless technology, and weighing just 3.30 kg, take the hassle out of cleaning your home. You’ll never again be constricted by short cables, tripping over wires or struggling to carry your cleaner up the stairs. 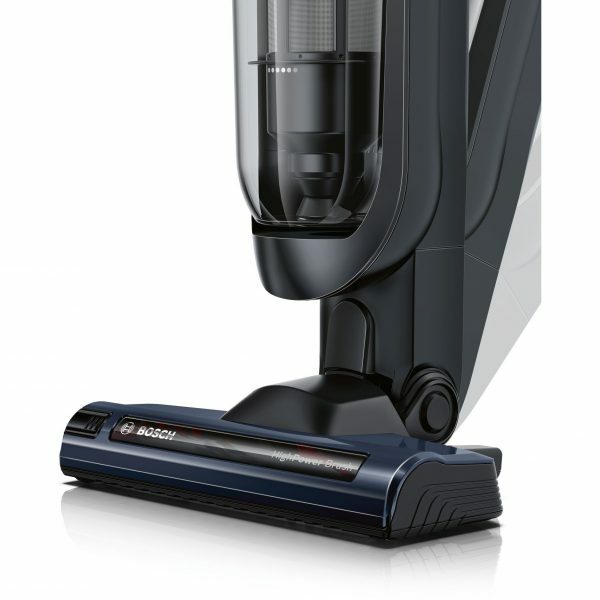 The Bosch BCH62560GB is one of the most easy to use vacuum cleaners on the market. Being cordless, you’ll never have to worry about tripping over wires, getting stuck around furniture or being restricted by short cords. 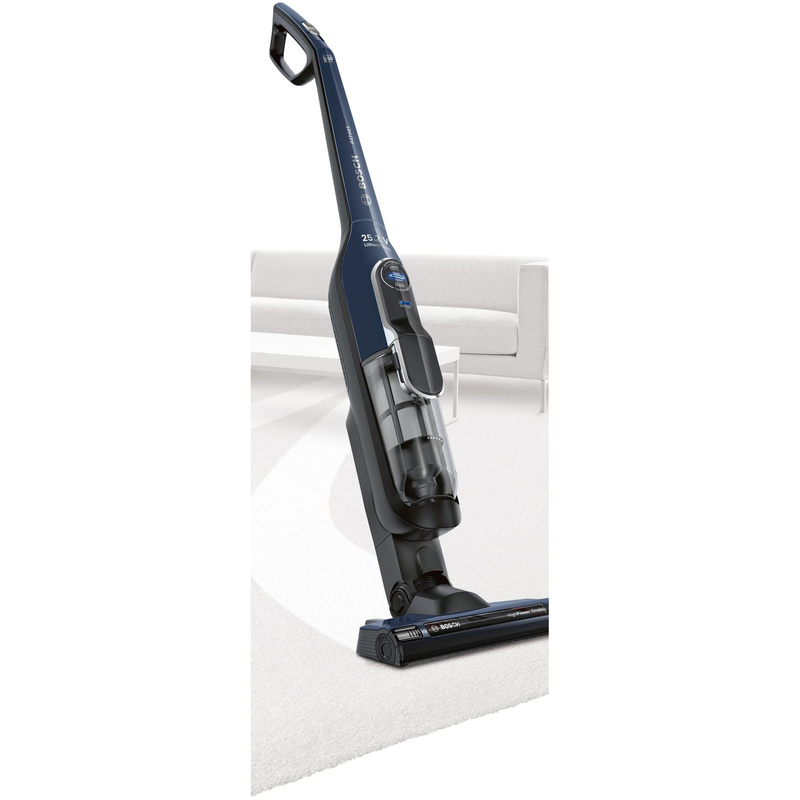 Weighing just 3.30kg, the Bosch BCH62560GB is much easier to move around the house than a standard vacuum cleaner. This makes it ideal for people with bad backs, or those who want to enjoy greater ease of use. 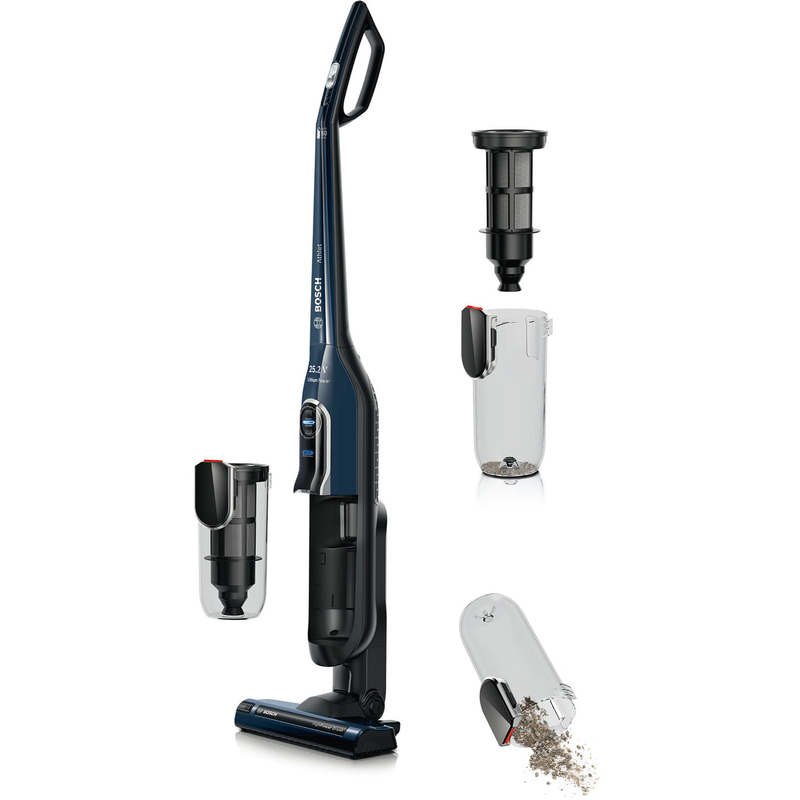 This cleaner is powered by a 25.2 V Lithium-ion battery, giving an extra-long 60 minute running time. This means that you will be able to clean the house with a single charge. When you do run out of charge, simply plug the cleaner into the wall and it will be ready in no time. The Bosch BCH62560GB has a flexible nozzle to help you get into the most awkward areas. Being bagless, you won’t have the cost of buying new bags, or the stress of replacing them when they run out. The 0.9 litre capacity can hold a whole house-load of dirt. This cordless cleaner is easy to maintain thanks to Bosch’s Easy Clean System, which allows you to remove debris and fluff from the brush ends. The filters are washable, so you don’t need to buy replacements. Sensors indicate through an LED light when the dust compartment needs emptying. Simply take off the bin and empty. 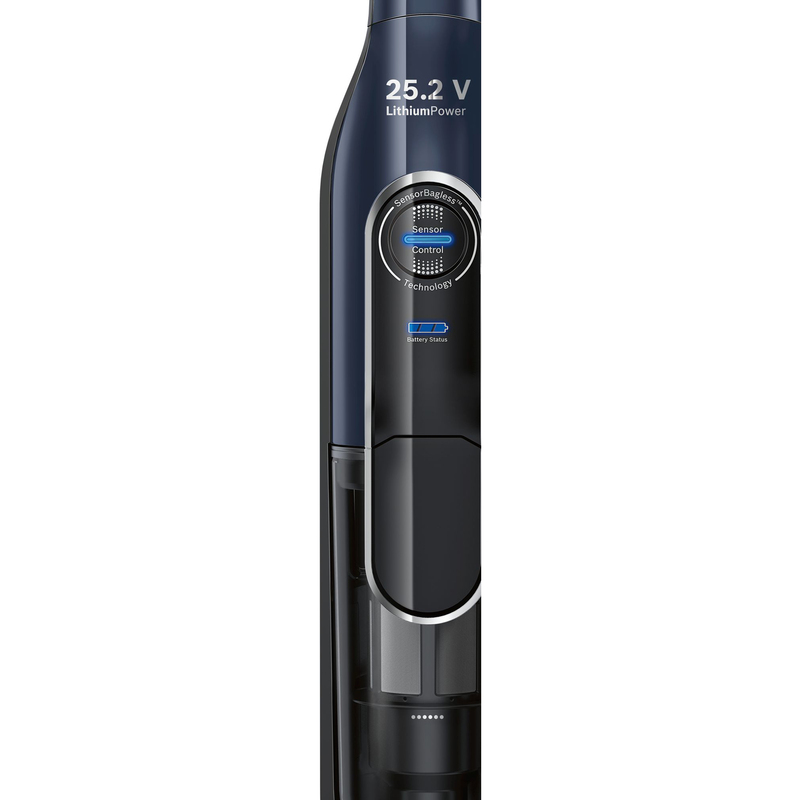 The Bosch BCH62560GB Athlet Cordless Vacuum Cleaner- Dark Navy is currently out of stock. If you would like to know when we can get this product delivered to you, simply enter your contact details below & we will reply to you shortly.